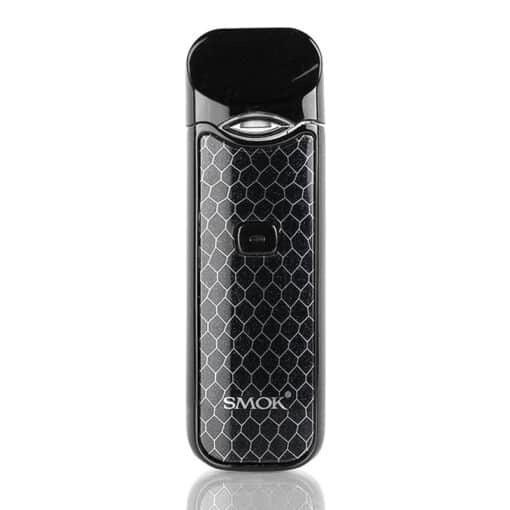 The SMOK NORD Ultra Portable Pod System draws inspirations from the elegant NOVO, integrating a long-lasting 1100mAh rechargeable battery and a refillable 2ml cartridge design capable of utilizing mesh and ceramic coils. Maintaining the signature cobra-plated panels, the SMOK NORD Pod Kit offers phenomenal handling with compact size and weighted feel for an amazing in-hand vape experience. 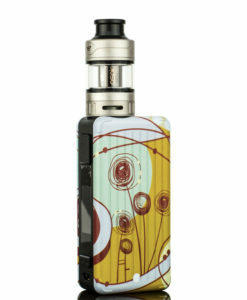 The rechargeable 1100mAh internal battery offers one of the bigger capacity in the pod system segment, activated via a single-button operational device. Available in Full Black only.